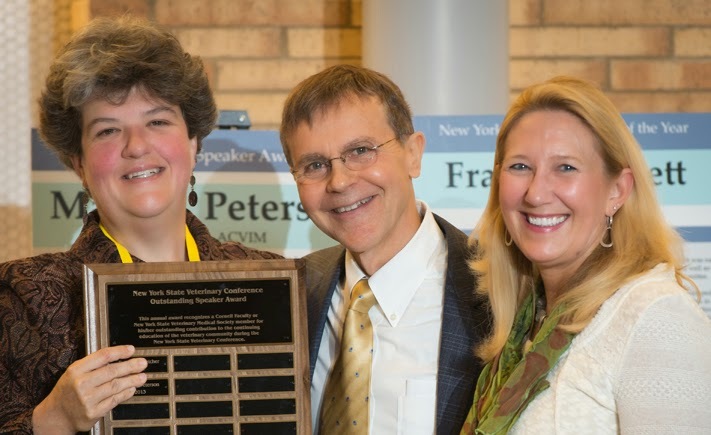 Dr. Peterson was awarded the Outstanding Speaker of the Year Award on Saturday, October 11 at the New York State Veterinary Conference Celebration Dinner. The award was presented to him by the New York State Veterinary Medical Society and Cornell University College of Veterinary Medicine. 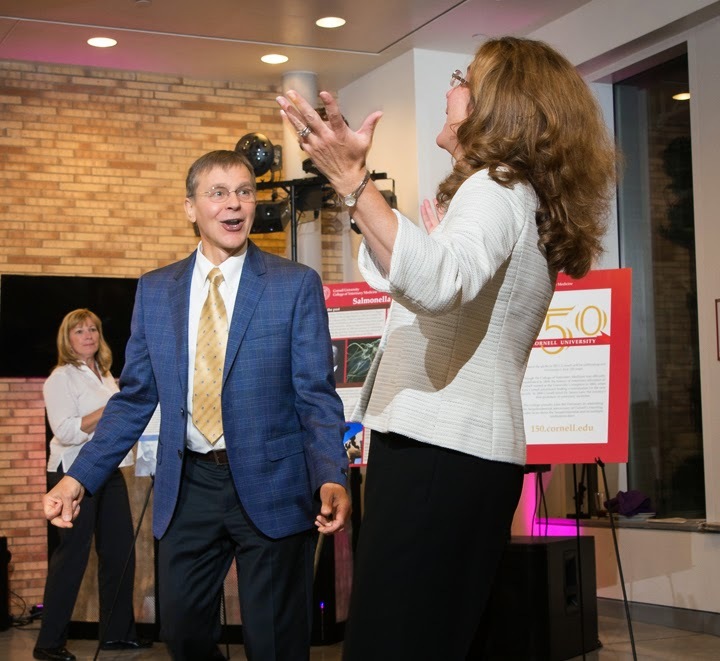 Dr. Peterson celebrates by dancing with Jennifer Mauer of the NY State VMS.